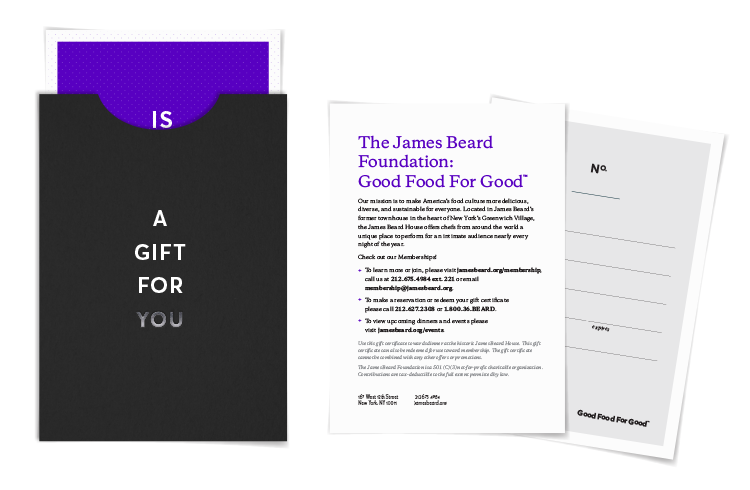 Gift the James Beard House experience! Gift dining certificates are available at any value for use toward all one-of-a-kind James Beard House dinners throughout the year. To purchase your JBF gift dining certificates, please call Membership Services at 212.675.4984 x221 or email membership@jamesbeard.org, Monday through Friday from 9 A.M. to 5 P.M. EST or purchase online with our gift card option. Find out more about gift certificates here. Our Friend membership is perfect for your best friend in Portland, your brother in Houston, or any food enthusiast on your gift list. Introduce your food-loving friends and family to the pleasures of dining at the Beard House. Our Associate membership offers member discounts for one person at all JBF events, along with subscriptions to our print publications. Perfect for food-loving couples, our Fellow membership offers member discounts for two people at all JBF events and three months’ advance notice of JBF events. 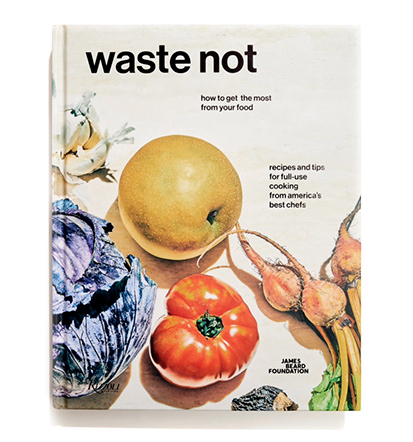 Our newest cookbook, Waste Not: How to Get the Most from Your Food is available to order, and our previous cookbooks, James Beard's All-American Eats and The James Beard Foundation's Best of the Best: A 25th Anniversary Celebration of America's Outstanding Chefs, are available on Amazon, along with books by James Beard, and more. A percentage of every purchase is donated to JBF! IfOnly is featuring an artisanal chocolate box collaboration that features James Beard Award-winning chefs, as well as unique chef experiences. A portion of these sales will benefit the James Beard Foundation.